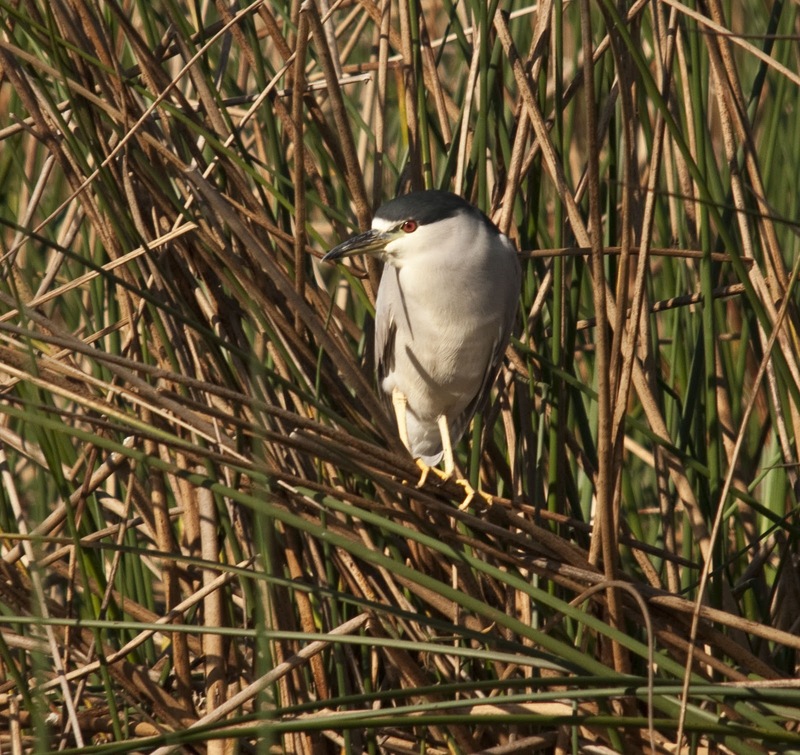 I came across a bird I haven't seen in quite some time at the Viera Wetlands yesterday morning. 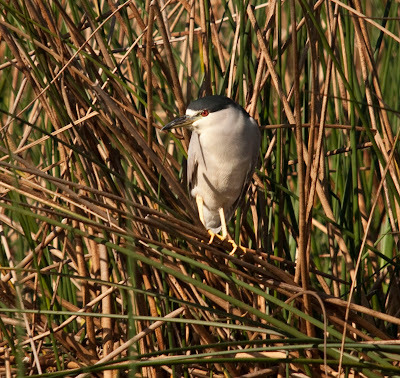 The Black-crowned Night Heron, typically most active in the evening, is most often found foraging for prey in the reeds along the edge of the water. This heron was soaking up some rays after the previous night's cold front significantly dropped the temperature. Here are a few others I've seen this week. Some nice, sharp images you have here! 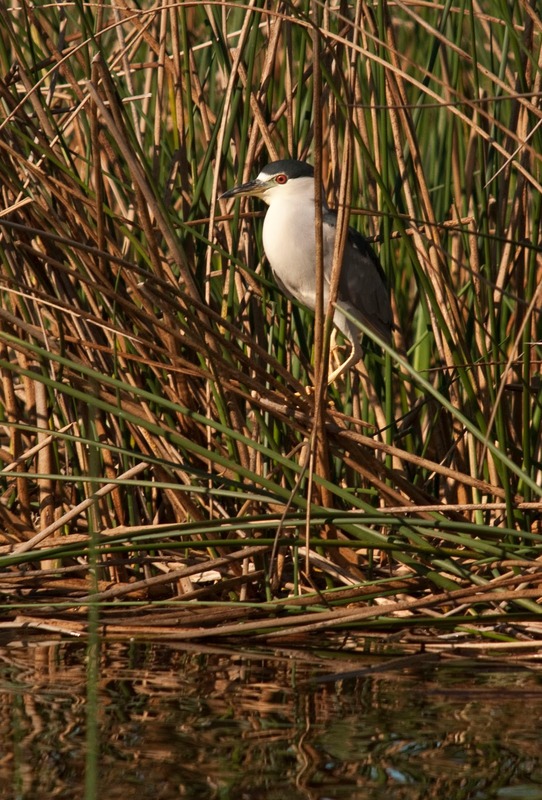 The Grebe and NIght Heron are especially crisp, with the Florida water plants making for a great background too. 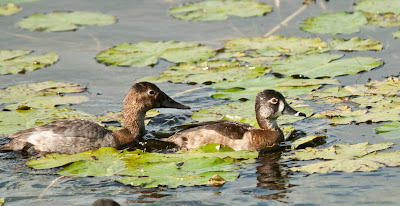 It's interesting too that you captured the Teal and Canvasback right next to each other. I've never seen those two species getting buddy-buddy before. 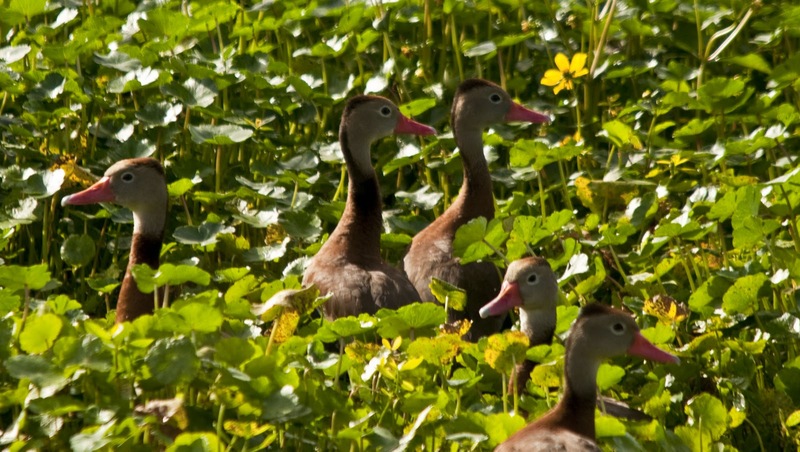 I've gotta say though, the Whistling Ducks are my favorite. They've looking in different directions like they're all trying to ignore each other, or just got lost for a moment among the lilies. 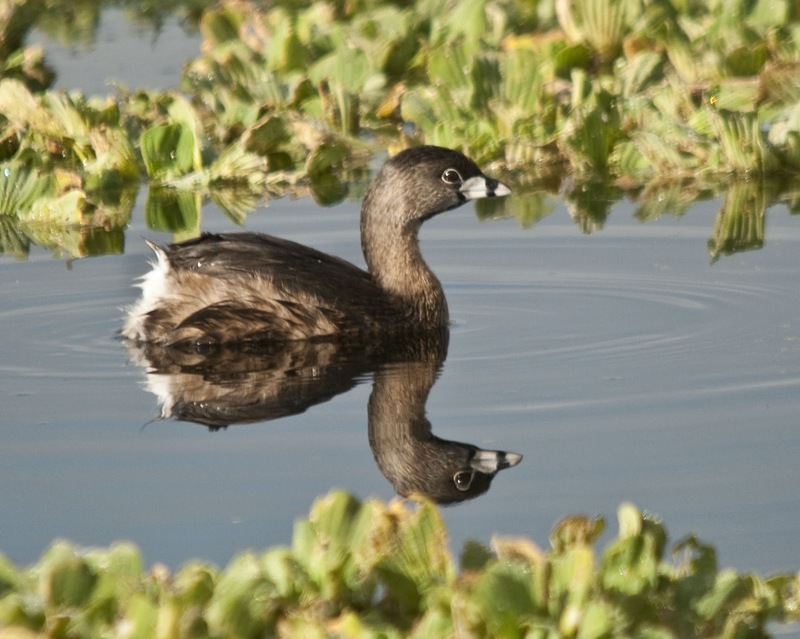 It's interesting that the Pied-Billed Grebe seems to have its mating plumage. The Grebes down here in Phoenix are still the lighter brown and have little to show in way of a ring on their bill. The Canvasback actually seemed to be chasing the Ring-necked. They parted ways after a bit. 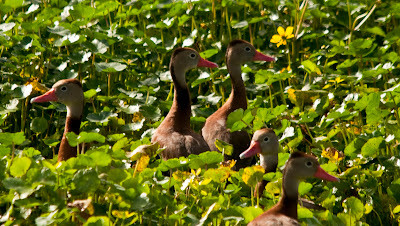 There was only one of each of them among several Coots. 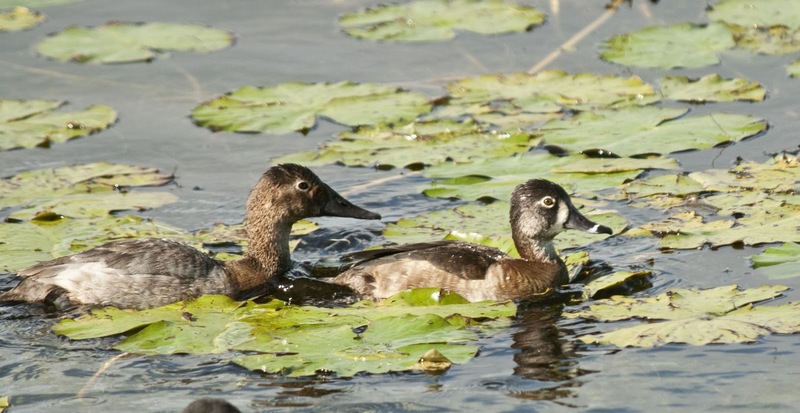 Both of these types of ducks have only recently arrived at this location. I've only seen a few Grebes with their breeding plumage, most are still non-breeding here as well. Thanks for your feedback on the pictures! Tammy, I'd love to feature you in my "Birder Profile" segment at www.BirdingIsFun.com. If you're up for it, could you email me at BirdingIsFun at gmail dot com? Thx!